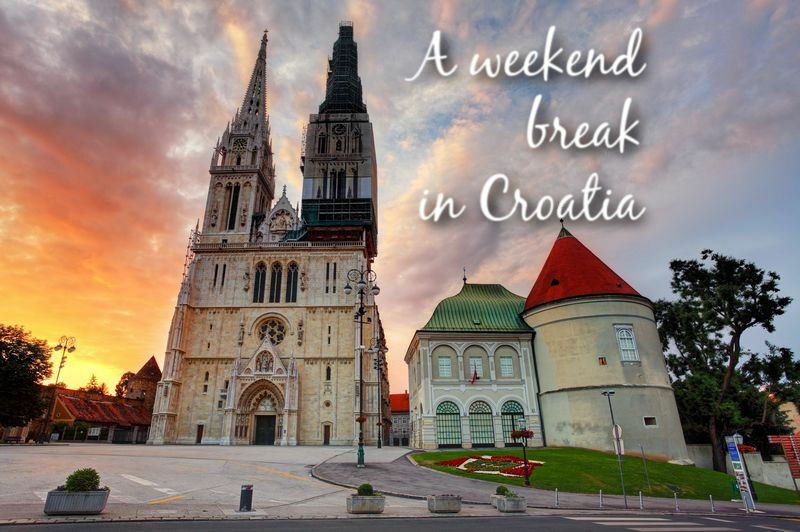 If you’re considering a weekend break to Croatia from the UK, such as a 48-hour trip or a long weekend visit, it’s probably best to book a holiday to one of the larger cities – Zagreb, Pula, Split or Dubrovnik – and base yourself there for the duration of your stay to save on any unnecessary travelling and transfer hassle. There are flights to all of these cities from the UK, with quite a few routes operating from late March/early April through to the end of October each year. There are, however, flights to Zagreb and Dubrovnik all year round from London, so these two would be very suitable for a winter weekend break as well. Take a look at our Flights to Croatia section for timetable details in order to help plan a short break. Zagreb is probably one of the best places in Croatia for a short break. Because it is Croatia’s capital city, it is busy and buzzing all year round, and there’s always plenty to do in terms of sights and cultural events, plus plenty of restaurants, bars and nightlife to keep you occupied. We wouldn’t really say Croatia is good for a shopping break (in terms of prices), but there are lots of shops to enjoy as well if that’s your kind of thing! Some compare Zagreb to that famous Eastern European short-break capital, Prague – and if you’ve been to and thoroughly enjoyed the Czech city for a brief trip, why not try Zagreb this time around? Generally, Zagreb is great for a short break any time of year, although we probably would say to avoid peak summer (July and August). Although there’s plenty to see and do, the city can be swelteringly hot – and you may have preferred to go to the coast instead (and be able to jump into the Adriatic!). Indeed, as many locals have decamped to the coast themselves, the city can be a bit quiet in terms of events and similar. Spring or early summer, or autumn are wonderful times of year to visit Zagreb. Even winter is lots of fun – the annual Advent in Zagreb has been voted European Destinations’ Best Christmas Market three years running. And you may even get a bit of snow! 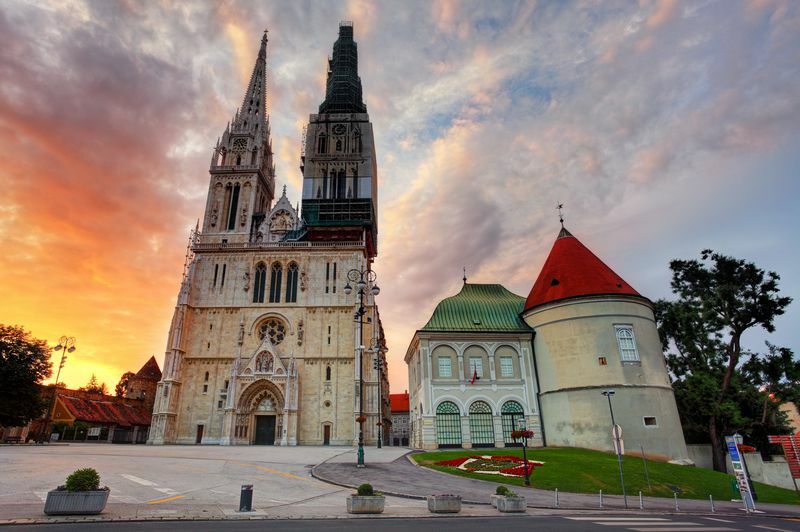 Read more about Zagreb in our special section to see what there is to do and to decide whether it’s the city for you. If you are spending a long weekend in Zagreb, do also consider day trips to other nearby towns and locations that you could make. Check out our Day Trips from Zagreb page, or why not consider a trip to the beautiful Plitvice Lakes? Once again, Dubrovnik is perfect for a weekend break in Croatia. If you’re there for two or even three nights you’ll probably just about cover the main sights and sample the delights of locally caught seafood several times. As you’ll have two full days in the city, you’ll probably spend the first day exploring as much of the Old Town as you can, and then the second day going back to all those things you missed or want to see again! There are plenty of beaches in the city if you’d like to spend some time kicking back and enjoying the sun, including Banje Beach which is just outside the Old Town. Try a trip to nearby Lokrum island (15 minutes away by boat) if you want to escape the crowds – the island is a great place to relax on in a little private cove for an afternoon. Alternatively, try a trip to one of the (slightly larger) nearby Elafiti islands for another possible day/afternoon trip. Alternatively, more and more travellers visit Dubrovnik during off-season, and tourist authorities are actively trying to promote the destination as a place to visit during autumn and winter too. There’s certainly still plenty of events taking place, almost all attractions are open, and as it’s right at the southern end of the Croatian coast, the temperature never normally gets too cold – average temperature in December is 10C, 9C in January. 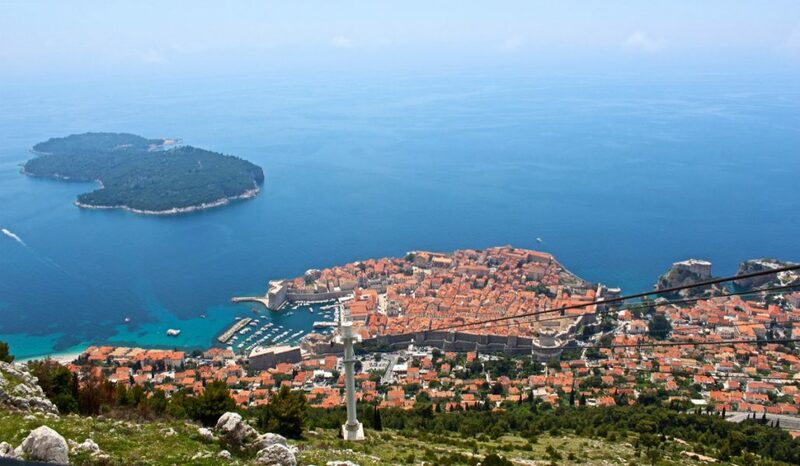 Check out our section on Dubrovnik for more details about this wonderful destination. Split is an ideal location for a mixed city break, with its wonderful ancient sights (including Diocletian’s Palace) and its bustling nightlife. Its beaches are also quite famous – you must head down to Bacvice Beach and hang out with the locals there. If you’ve (somehow) exhausted everything Split has to offer you during your short break, there’s plenty of nearby places to also enjoy. The wonderful little town of Trogir is only 30 minutes away by local bus or boat, so a very easy excursion. You could also take a ferry or catamaran to one of the nearby islands – see our Day Trips from Split section. Or perhaps consider a day at Krka National Park, where you can even swim in one of the lakes? 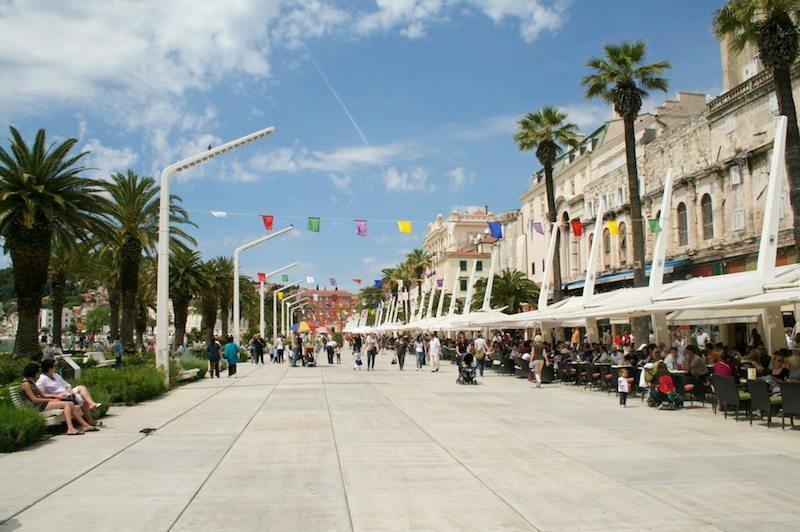 Read up more on Split in our section on the city. Pula is also a very suitable destination for a weekend break in Croatia, although really only from late Spring to early autumn as that’s when flights to Pula operate. 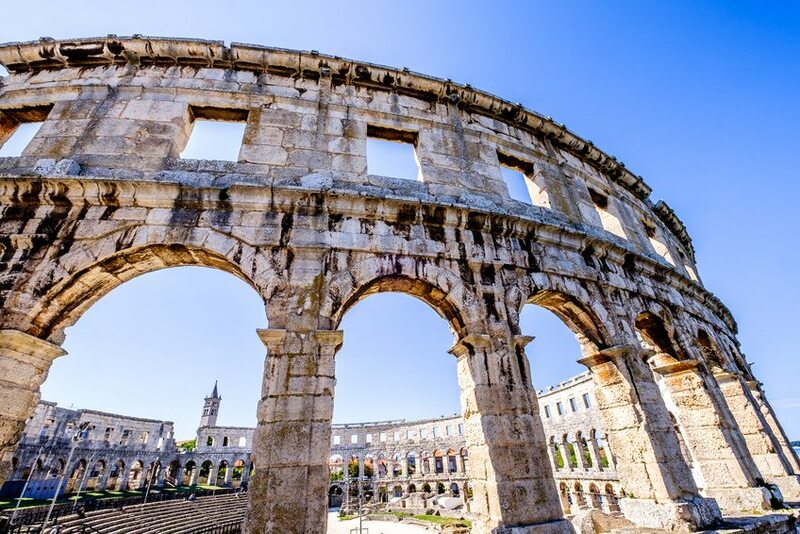 Like the above cities, Pula also has wonderful sights including several from Roman times – such as the incredibly well-preserved Arena (see below). A weekend in Pula would also be a great way of enjoying Istria‘s famous gastronomy and fantastic wines. And if you like a bit more ‘adventure’, consider a day on Cape Kamenjak. Check out our section on Pula for more information.